We supply a variety of signs to suit your needs. A lightweight fluted plastic that is semi-rigid and approx 4mm thick. Ideal for Builders Boards, Estate Agent Boards etc. A more rigid plastic material which comes in either 3mm or 5mm thickness. Again ideal for Builders Boards or for a more Permanent Sign such as fixed to a wall etc. Is a strong but light-weight hard wearing material, consisting of two thin aluminum sheets bonded to a pressed plastic. Excellent for both indoor and outdoor signage. It is stronger than foamex and can be easily drilled for fixing. 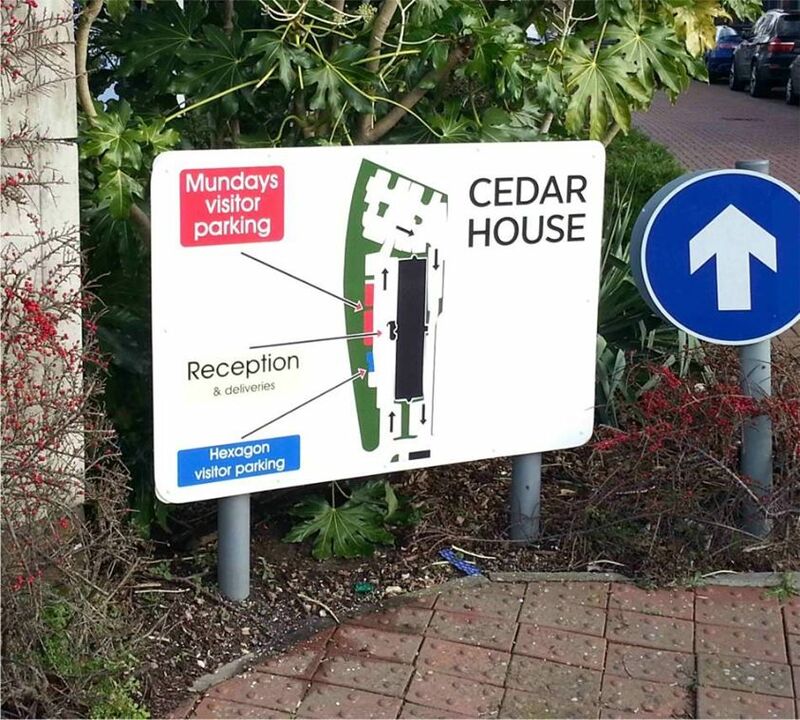 We supply ‘A Boards’, Weighted Base Swing Signs and Hanging Signs in a variety of sizes and styles.